I’ve never thought of myself as a writer. My first couple of years teaching (first grade, at the time) I didn’t even enjoy teaching writing. It wasn’t until I started teaching second grade and found a book on something called, “Writer’s Workshop” that I began to change my view. I don’t remember much from that book except the importance of student choice and the pitfalls of writing to a prompt. I started trying little bits of writer’s workshop, not telling my two, more-experienced, grade-level colleagues, and learning more as I went. Then, one summer I was able to attend a beginner’s training on teaching writing using a writer’s workshop approach. It was fantastic. Four days of learning, reading, observing, and practicing. Finally I was seeing the the techniques I had read about applied in a classroom setting. I spent the next years trying, changing, and perfecting my writing instruction. I’ve studied the six traits of writing. I have focused more on my own writing. I’ve attended professional development trainings. My growth is linked directly to my students’ growth. Kids need to be allowed to create. When students are allowed choice in topics, taught how to use their voice in their writing, and provided the structure in which to be free, they flourish. The most reluctant writers will soon be looking forward to writing time each day, and moaning when it’s time to move on to the next subject. Through choice, student ideas, efforts, and passions are validated and encouraged. There is simply not enough “creative” time in today’s classrooms. I am happy to see this starting to change via frameworks like writer’s and reader’s workshop, project-based learning, and maker spaces. We just need to continue that trend and allow students to drive their learning. Differentiation is a must. As educators we know the value of personalized learning. We understand the fact that every single classroom of students is heterogeneously mixed no matter how you might try to structure those groupings. We also know that differentiating instruction takes extra time on the part of the teacher. That is where conferring in writer’s workshop plays the most important role. I have said before, “If you aren’t conferring, you aren’t doing writer’s workshop.” It’s during these one-on-one conferences that the teacher can praise each individual, and also see where that student can go next. One student might need extra help on writing a strong lead, whereas another might be ready to learn how to incorporate dialogue into their writing. Minilessons at the beginning of workshop time are a must, but if teachers aren’t following that up with individual conferring, then they are doing the students a large disservice, and missing out on the simplest way to differentiate writing instruction for their students. Celebrate writing. Everyone likes to have their work recognized. This includes students. After taking them through the writing process, after they publish the piece of their choice, then celebrate that work. Author Celebrations can look different for each classroom, or even for each celebration. It doesn’t have to be extensive. It can be as simple as sharing as a class and giving praises as a group. At different times, I have invited in other classes, parents, administrators, and/or school support staff. The students shine in sharing their work. They have invested themselves in this project and want to share it with an authentic audience. This is a small taste of the benefits to teaching writing using a workshop framework. The great part is that the enjoyment is two-fold. 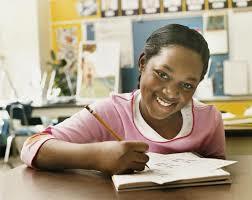 The teacher enjoys teaching writing more, and the students enjoy writing more. This entry was posted in Education and tagged conferring, writer's workshop, writing. Bookmark the permalink.